The Election Commisssion's (EC) cancellation of polling in some 300 villages in ethnic areas announced on Thursday is due to poor security and lack of support from ethnic people, ethnic observers suggest. The EC made the announcement on state television on Thursday, saying,"Polling will not take place in several constituenecs where free and fair elections cannot be held." The EC did not elaborate. The EC announcement said the Nov. 7 election had been canceled in several townships in Kachin, Karenni, Karen, Mon and Shan states, including four townships in the Wa self-administered division. Aye Thar Aung, a prominent Arakanese politician in Rangoon said the polling was cancelled in ethnic areas because the Burmese regime seems worried about losing seats and threats from ethnic rebels against the poll. "The regime’s proxy parties such as the Union Solidarity and Development Party (USDP) and National Union Party (NUP) may not win major constituencies in Kachin, Shan and Karen states as the ethnic people don't trust them," said Aye Thar Aung. The Burmese regime also seems afraid of armed threats if they run polls in Wa-controlled and other ethnic regions, especially in eastern Burma where ethnic armed groups are still active, he added. Observers also said the military government's proxy parties such as the USDP and NUP will lose if they contest in Shan State as the Shan Nationals Democratic Party (SNDP) already receives majority support from Shan people in their home state. The SNDP—popularly known in Shan State as the “White Tiger,” which is the party’s logo—is the fourth strongest among 37 parties that intend to contest the Nov. 7 poll. Sai Hla Kyaw, a central executive member of the SNDP, told The Irrawaddy on Friday that he thought the EC probably cancelled the poll in some areas in Shan State because it knows the junta-backed parties have less influence on Shan people than the SNDP. The SNDP has fielded 45 candidates for the People's Parliament, 15 for the Nationalities Parliament and 97 for the parliaments in Shan and Kachin states, he said. The ethnic groups in areas where the poll has been cancelled, which are mostly along Burma’s eastern and northern borders, are at odds with the military government over its insistence that they integrate their semi-autonomous security forces into the government's border guard forces. Several of these ethnic armed groups have been fighting for autonomy from the government since Burma gained independence in 1948. 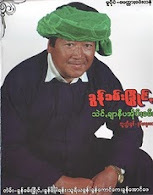 Nai Ngwe Thein, chairman of the All Mon Region Democratic Party, also said he thinks that the USDP and NUP candidates don't have much influence in ethnic areas and feel insecure due to ongoing armed conflict between government troops and the Karen National Union, an ethnic rebel group that has been fighting the government for more than 60 years. Nai Ngwe Thein told The Irrawaddy that he was summoned on Friday by the Mon State EC who told him that they heard that the Mon ceasefire group, the New Mon State Party, were threatening people if they voted for pro-junta parties and not for ethnic parties. The accusation was reported by the pro-junta parties, the USDP and NUP, according to local Burmese authorities in Mon State, he said. As the election nears, the Burmese regime is increasingly accusing ethnic rebels of planning to launch terrorist attacks against the election. Speaking to The Irrawaddy on Friday, Col Sai Lao Hseng, spokesperson of the Shan State Army-South, said: “We will not disrupt their [the junta's] election even though we know it will not be free and fair. We are educating our people about the vote and letting them know this poll is not going to be free and fair."